Description: Design a house plan flyer and advertise your real estate business. 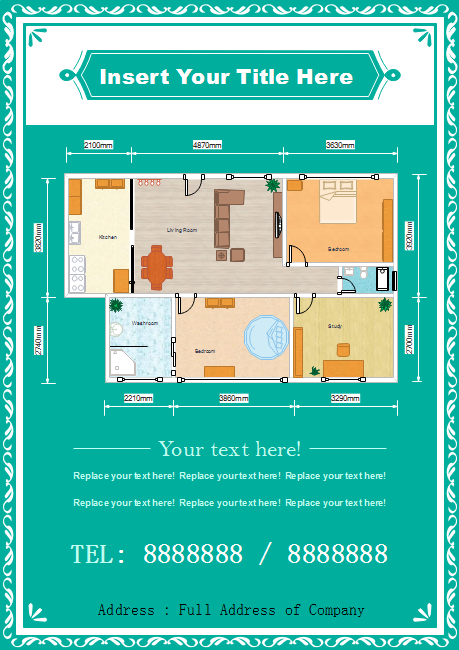 Here is a house plan flyer template everyone could download and re-edit. Our floor plan software could not only design customized floor plans, but also make beautiful flyers through built-in shapes and drawing tools.